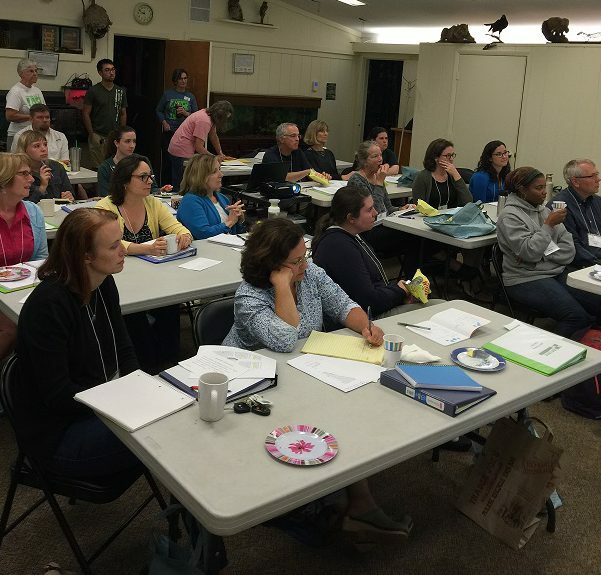 ARMN member Suzanne Dingwell provides a firsthand account of the launch of the latest Master Naturalist training class. Expectations and energy levels were running on high settings on the night of Tuesday, September 6, when the newest class of ARMN trainees came together for the first time. The new group is full of motivated people who are primed to “Go!” They come from many walks of life, but all have the same desire to learn more about the natural world unique to Virginia. And, importantly, they want to make meaningful contributions to our local community by educating others and improving environmental conditions. During the ice-breaker activity, the folks quickly shared with each other their backgrounds and their hopes for using their newly acquired skills at training’s end. Behind the scenes, the ARMN Training Committee had been hard at work, scheduling talks and field trips, getting materials, putting notebooks together, and assembling the bag of resources each new trainee received the first night. 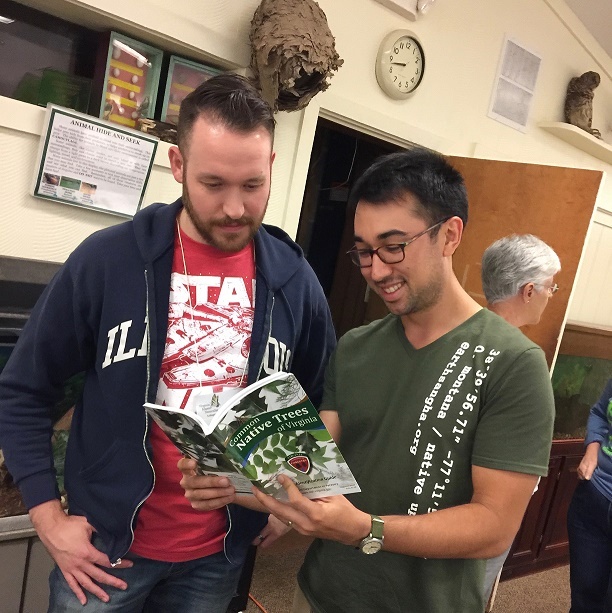 Trainees were eager to delve into the carefully chosen collection of books related to our local natural world. Past-president Caroline Haynes was on hand to remind the class of the mission statement of Virginia Master Naturalists and the commitment to volunteer. Certified Master Naturalist volunteers give 40 hours of their time each year (and many give far more! ) to help provide education, outreach, and service dedicated to the beneficial management of natural resources and natural areas within their communities. Basic information about the course and the Master Naturalist organization was shared and —as a taste of things to come—the class put their detective skills to work on some mysterious tree branches. Using a simple dichotomous key in one of their new books, Common Trees of Virginia, they deduced that the tree was a mulberry. A lively discussion ensued over the question of white mulberry versus red! Matt Bright (right) and Kyle Chapman confer over tree identification. It was such a pleasure to be on hand for this new beginning; I was inspired and impressed by the knowledge, passion, and commitment demonstrated by this latest group of ARMN trainees. Welcome! I can’t wait to be out there volunteering at your side.